Make sure to watch this informative video regarding how critical it is to understand the offsetting functionality of your CAM software and the negative effects it can have on the DXF files provided through this website. To ensure you have an excellent experience with our DXF files we would like to share with you some information that will make it easier for you to be successful with our DXF files. 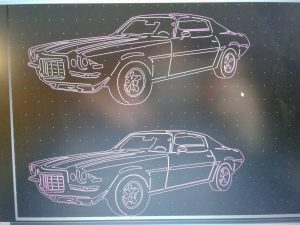 You will primarily be focused on either importing or opening the DXF file into your CAM or CAD based software program. If you are trying to edit the design work you can use a program like Corel Draw or Adobe Illustrator to make quick changes to the existing DXF file. 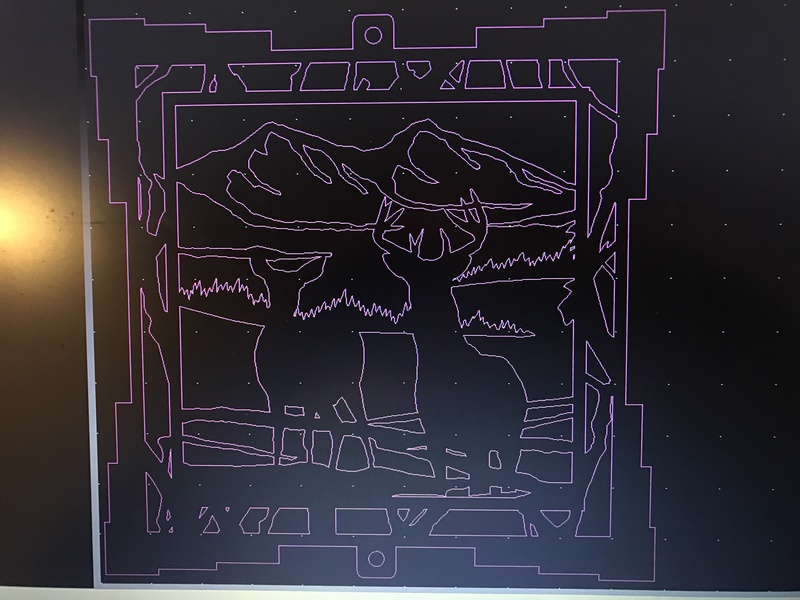 I know a lot of individuals that are new to the CNC industry like to try Inkscape but I have not had very good success with importing and opening my DXF files into that particular program. 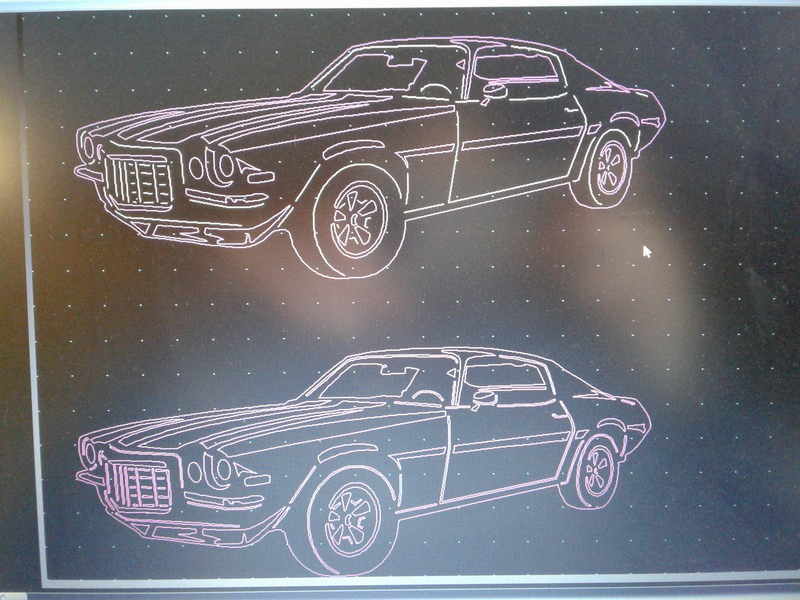 I believe it is due to how Inkscape was developed based off older versions of the DXF file format. If you are importing the DXF file or opening it into your CAM software you will want to be sure to disable your offset tooling function. If you are unable to disable the offset function altogether then you will want to reduce your offset value as small as it will go (.001″) This will allow you to cut our DXF files correctly! 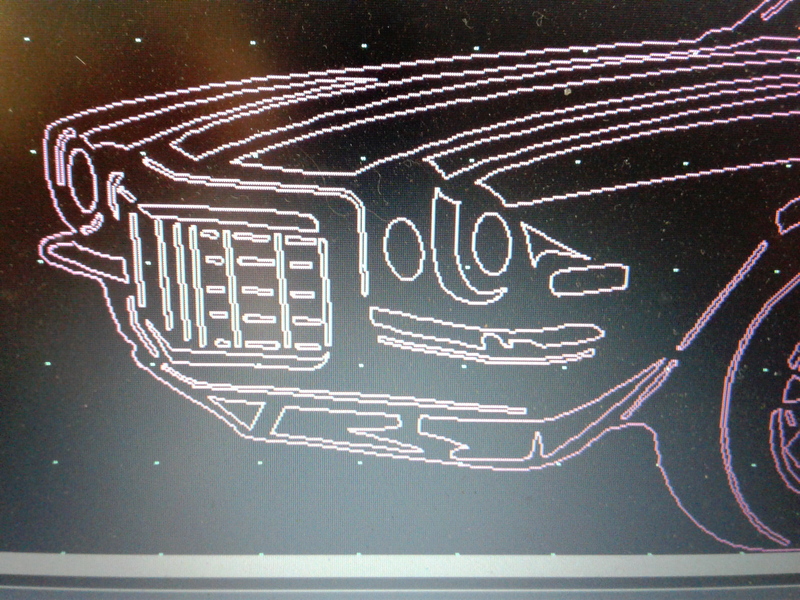 Here is an example of what a DXF file looks like when it is imported without any offsets. 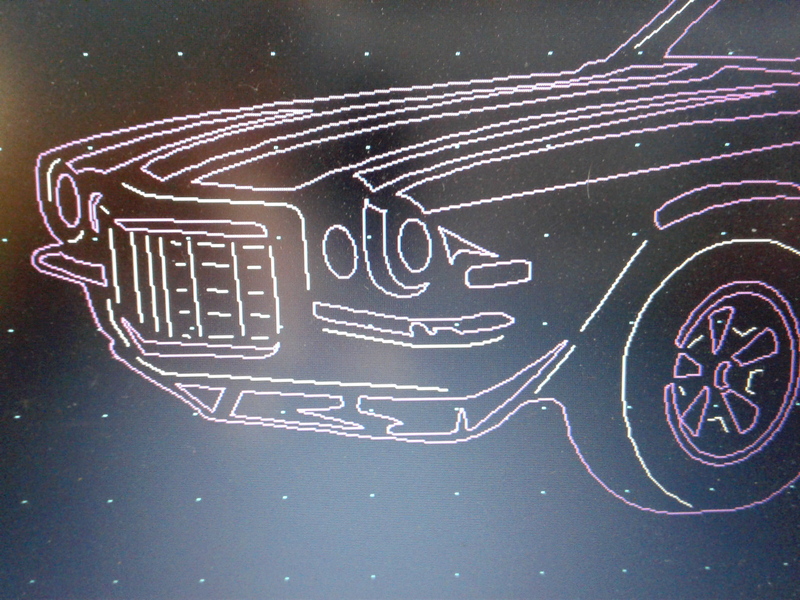 This is what a DXF file looks like with a medium offset. Notice there is not much visible difference, however this medium offset has created over 100 intersections. 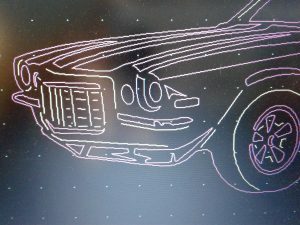 This is what a DXF file looks like with a large offset. The difference is dramatic and alarming. 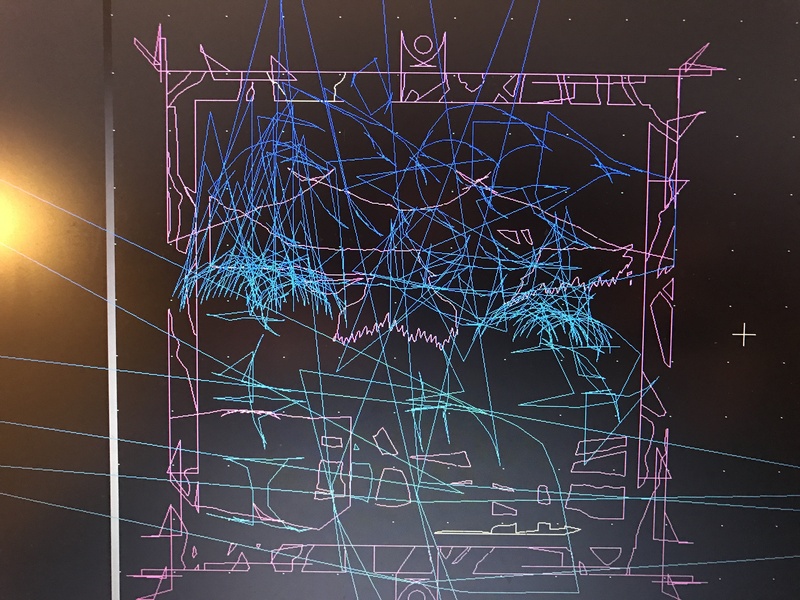 Don’t be fooled by seeing something like this, clearly the issues is due to improper tool path offsetting. If your CAM system is detecting overlapping lines or giving you error codes the primary reason for this is that your auto offset feature is toggled on and your CAM system is literally redrawing the design work to accommodate an unnecessary offset. 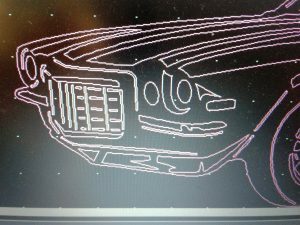 If you import the DXF file and you are seeing thousands of little lines very close to each other you import options may be configured incorrectly for lines and arcs when they should be set for polylines. 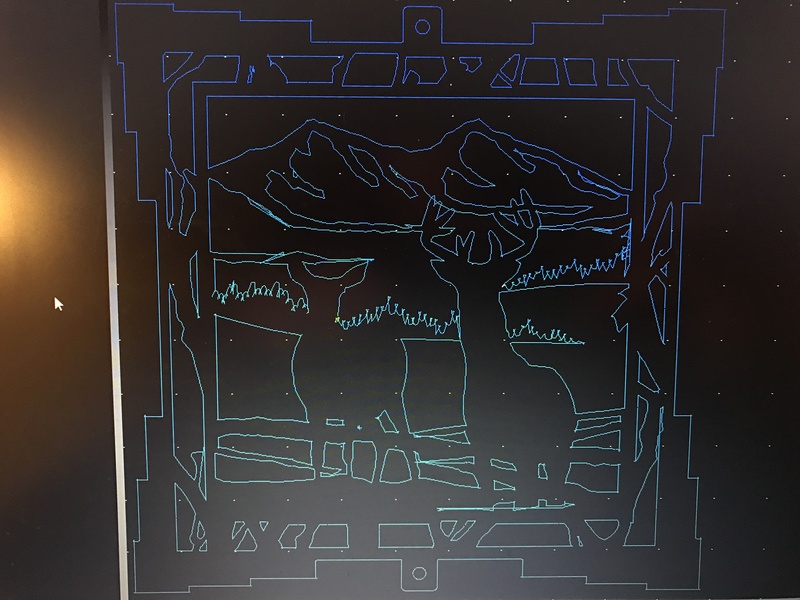 Once you are able to import the DXF file into your CAM software you will notice that most of our CNC DXF files come with two images of the same design. 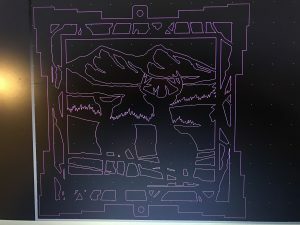 Now that you are familiar with some of the basics of importing your DXF file you will want to either delete the closed path or open cut path version of the design. As a rule of thumb all Plasma and Router based CNC cutting systems will utilize the open cut path version of the design (if you are using a plasma or router based CNC cutting system you can delete the closed path version of the DXF file design) Remember to save the file under a separate name so that you do not lose access to both versions of the design. 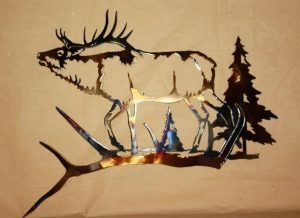 Now if you are operating a laser or waterjet based CNC cutting system you will want to utilize the closed cut path version of the design. 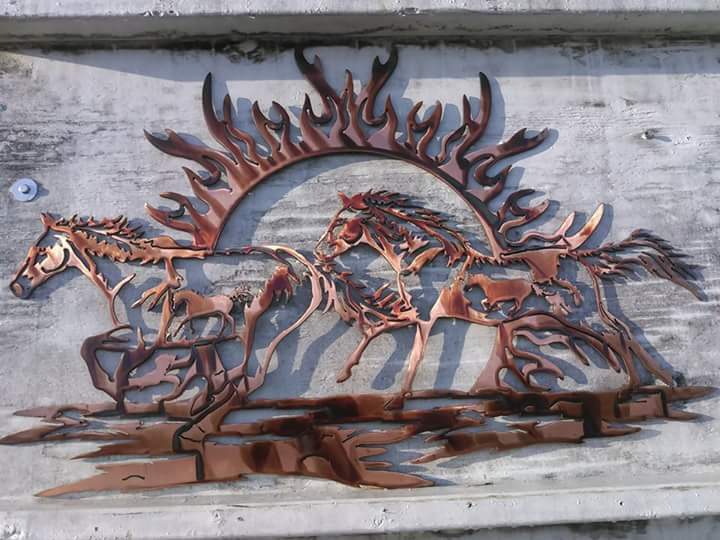 ( If you are using a laser or waterjet based cutting system you can delete the open cut path version of the DXF file design) Remember to save the file under a separate name so that you do not lose access to both versions of the design. If you plan to cut the DXF files with a CNC plasma cutting system it is recommended that you use a plasma cutting system capable of cutting at or below 40 amps. Fine tip consumables between 20 and 40 amps will yield excellent to very good results. Amperage is directly tied to the size of your plasma stream cut width. For the very best results make sure to do several straight line test cuts to minimize the cut width in the material that you will be cutting. Stand off distance, cut speed and air pressure all have an impact on the cut width and quality of your cut. 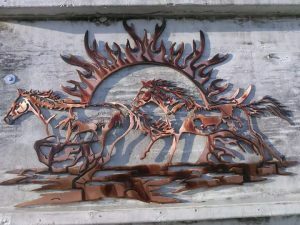 Every plasma cutting system is different and the only true way to get truly amazing results is through trial and error. With a little time and practice you will minimize your cut width and improve your cut quality that will result in achieving great detail and minimal clean up. 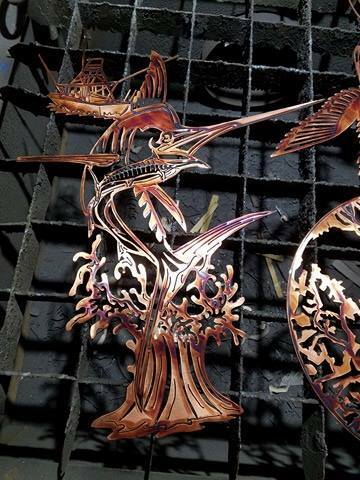 Here are just a few fine examples of cut and finished design work.